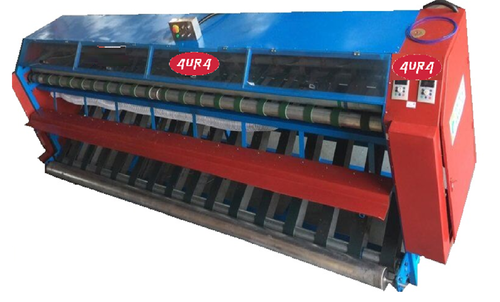 We are a leading Manufacturer of carpet wringing, dust removing machine from Gurgaon, India. Completely maid up of Stainless Steel. The centrifuge is designed as such for extraction carpet after washing, which gives the best result. The use of a centrifugal force accelerates the process; which usually takes hours when done manually. A special system is for preventing vibration. Low vibration is faced during the spin. High spin speed with adjustable time. Conveyer band system with locked rubber mechanism. Looking for “Dust Removing Machine”?